Welcome to 3AW. Skip directly to: Search Box, Section Navigation, Content. Punjabi AFL call: Jesaulenko takes a 'badi'! 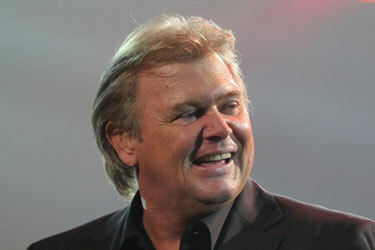 John Farnham has been rated the best Australian singer of all time, based on a survey of his peers. "Basically people just voted for their favourite artists and wrote a few lines explaining why - all singers voting on singers," he said. Russell Morris, who came in at number 33, spoke to Darren James and Tony Leonard and said he was quite honoured to receive a few votes. As for snubs, pop Queen Kylie Minogue was noticeably missing from the list. Judith Durham is simply the best female singer, by a long way. @Ian posting here about Peter Allen! This joker died of Aids. He also desserted Australia so he is most assuredly out of the competition mate. He is a spent mini- force indeed. Also in picking leadership characters son, you have to distinguish between the goats and the sheep! Phew! Glad Stevie Wright made the list... for obvious reasons! Many of these are not Australian. At a glance, Neil and Tim Finn, (late) Marc Hunter and Keith Urban are New Zealanders and not Australian.